This poem was in the making for quite sometime, but today, when Mary Kom has won Gold Medal at the Incheon Asiad, it needs to come out and speak. Having a bout with a web of perceptions. Finally-- a woman without her body. Mangte Chungneijang Mary Kom (born 1 March 1983 at Kangathei, Manipur), also known as MC Mary Kom, or simply Mary Kom, is an Indian boxer. 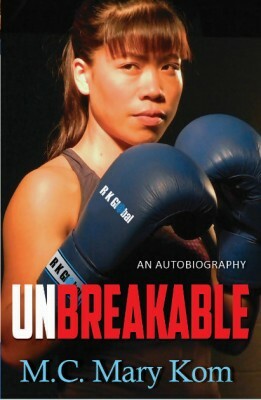 She is a five-time World Amateur Boxing champion, and the only woman boxer to have won a medal in each one of the six world championships. Nicknamed "Magnificent Mary", she is the only Indian woman boxer to have qualified for the 2012 Summer Olympics, competing in the flyweight (51 kg) category and winning the bronze medal. She has also been ranked as No. 4 AIBA World Women's Ranking Flyweight category. Today she won a Gold Medal in women's flyweight (48-51 kg) division defeating Zhaina Shekerbekova of Kazakhstan at Asiad Games, Incheaon, South Korea.